The essentials of indoor cycling are the foundation for every instructor, every class and every club. They represent an understanding of the equipment, environment and format, as well as, sound knowledge of proper training, form, technique, presentation and risk stratification. Study and pass our extensive online exam (80% is required) to join the ranks amongst some of the best indoor cycling instructors. This is the base requirement for all instructors. To demonstration the required knowledge and expertise of a Cycling Fusion Level 1 Indoor Cycling Instructor. 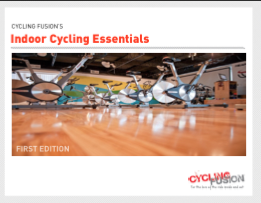 Copyright © 2019 Cycling Fusion - Education & Certification Portal. All Rights Reserved.